While applying for Passport different Affidavits/Annexures needs to be submitted according to the situation/demand. 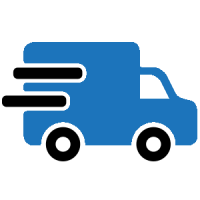 Now you can have your Affidavit in just few minutes and the Highly Considerable feature of our platform is that there is no need for you to go anywhere. Just sit back, Turn on your pc, Logon to our website & Fill your Details. Annexure “A” is the Affidavit of Date of Birth to be submitted by Illiterate Applicant. 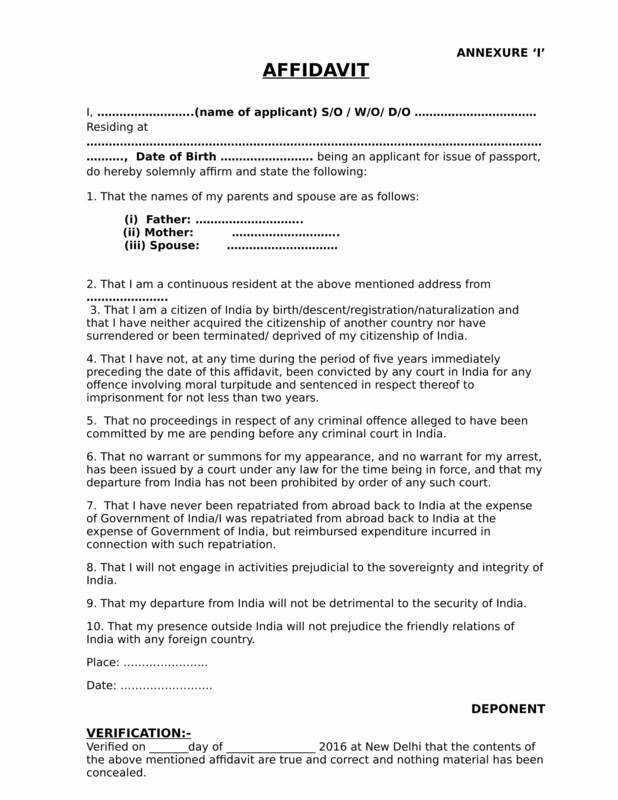 Annexure “C” is the Affidavit for Passport of Minor Child by either parent (who are separated but not formally divorced). Annexure “D” is the affidavit for Lady applicant for change of name after Marriage. Annexure “E” is the Affidavit for Change in Name/Deed Poll/Sworn Affidavit. Annexure “G” is the Affidavit for Declaration of Parent/Guardian for Minor Passports (one parent not given consent). Annexure “H” is the Affidavit for Declaration of Parent/Guardian for Minor Passports given on Plain Paper. Annexure “I” is the Standard Affidavit. Annexure “K” is the Specimen Affidavit for Issue or Re-issue of passport, which was obtained prior to marriage, by married applicants who are unable to provide the prescribed marriage certificate or joint affidavit with spouse due to marital discord, separation or without formal divorce decree by the Court or due to total desertion by the spouse. Annexure “L” is the Specimen Affidavit for a passport in lieu of lost/damaged passport. Request us for Affidavit by just providing few details. What is meant by "To be exectued on Non Judicial Stamp paper of Minimal Value"? It means that Affidavit needs to be executed on the Non Judicial Stamp Paper of minimal value that is on prescribed Stamp Duty set by Government as per state. 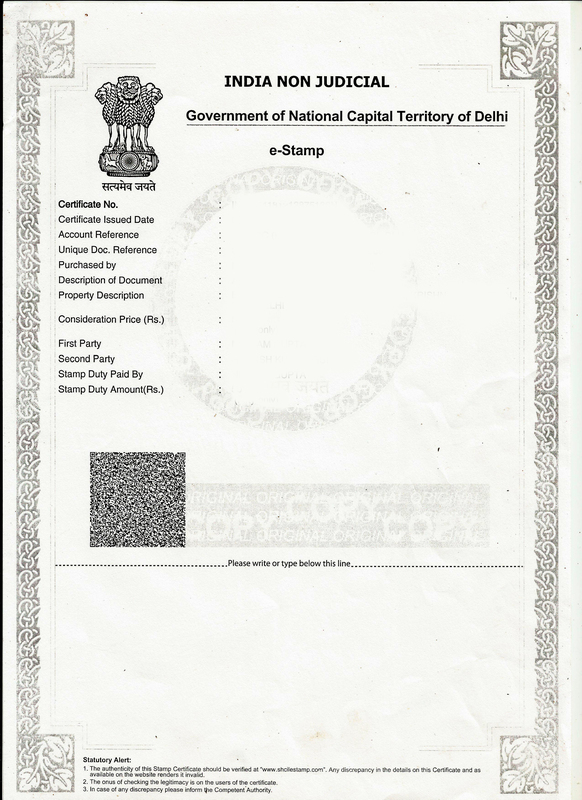 In Delhi, the prescribed Stamp Duty for Affidavit is Rs. 10/-. So, it needs to be executed on Stamp Paper of Amounted Rs. 10/- only. Whether Passport Department accept e-Stamp Paper? Now, there is no Stamp Paper system left in Delhi. 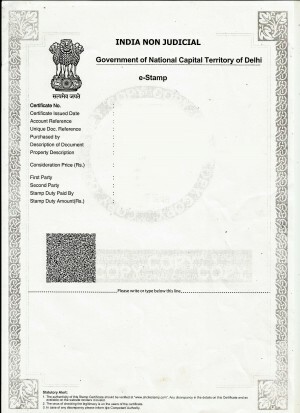 The Prevailing system of Stamp paper has been replaced by the Government in a year 2011. 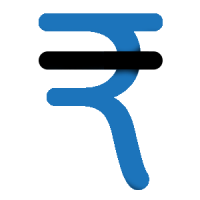 Government has appointed Stock Holding Corporation India Limited (www.shcilestamp.com) as their Central Record Keeping Agency and they are the Only CRA with Government for e-stamping. So, Affidavit/Annexure should be made only on e-stamp paper, it is far safe as compare to prevailing system. What is No Criminal Record Affidavit for Passport? Annexure “I” Standard Affidavit works as No-Criminal Record Affidavit, when ask by the Department you need to present the Annexure “I” Affidavit executed on prescribed stamp paper and duly attested by Executive Magistrate OR Notary Public. While Submitting Annexure “I” One Original Copy and One Self Attested Copy needs to be provide. 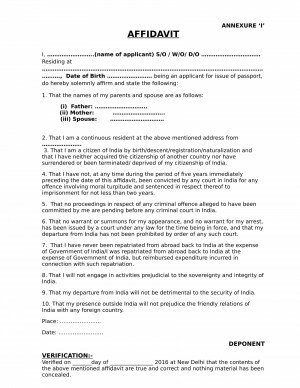 Which Affidavit needs to be given for Passport under Tatkal? Generally, Annexure “I” and Annexure “F” needs to be provided for the Passport under Tatkaal Application, rest it depends upon the application of the Applicant. Does Annexure "H" required to be executed on Stamp Paper? No, Annexure H needs to be given on Plain Paper by the Parent(s) declaring for Minor Passports. For Name Change, which Affidavit needs to be use and what is the process? 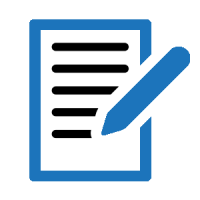 Draft the Affidavit stating the Old Name and New Name and other details ask in Annexure. Make the Affidavit attest by Judicial Magistrate/Executive Magistrate/Notary Public Or Consular Officer in an Indian Mission Abroad. Publish the Advertisements in two reputed Newspapers (one Local newspaper of area in which applicant is residing and 2nd in newspaper of area of permanent address) and Submit Original Copies for the Same to the Department.